Just what is Get Woodworking Week? The idea started as many great ones do… late at night in a bar. At a gathering of woodworkers, we were sitting around a table asking ourselves, “How can woodworking be saved?” After all, with most schools no longer offering a shop class, millions of school age kids might not ever get the opportunity to work with wood. Add to that the trend toward ‘disposable’ furniture, built out of particleboard or MDF and designed to last until the next big design trend change, we were wondering if the appreciation of finely-crafted furniture would continue to be lost. That’s when the idea hit me – we needed a special event to get folks off the sideline and into woodworking as a hobby. That’s where the idea of Get Woodworking Week comes in. Woodworking bloggers across the Internet are banding together to gear their sites toward the novice or soon-to-be-novice woodworker. They’ll cover topics as diverse as how they got started in the craft, which tools a beginning woodworker needs (without breaking the bank) and what techniques are essential to start with. There will be discussion about how to find wood on the cheap for projects, what sources of information are reliable and how making mistakes can – and do – make you a better woodworker. I just loved this video from Scott Morton, done for the 2012 Get Woodworking Week. Wood Magazine’s Basic Built Series:This is is Wood Magazine’s initiative to provide simple, yet high-quality woodworking projects that can be completed with a minimum number of tools and skills. This site covers a wide array of topics – from how to find furniture worthy wood to where to find the best deals on tools. The inexpensive projects offered run the gamut from shop fixtures to tables, seating and casework. Fine Woodworking’s Start Woodworking: Fine Woodworking magazine offers a comprehensive site geared toward beginners. Loaded with plans, videos and articles on the basics, this site has much to offer the budding woodworker. And, what a great selection of projects there is – with something for nearly every room of the house. Check out the Q&A section, offering expert advice for woodworkers of all skill levels. Popular Woodworking’s I Can Do That: In every issue of Popular Woodworking Magazine, the “I Can Do That” column features projects that can be completed by any woodworker with a modest (but decent) kit of tools in less than two days of shop time, and using raw materials that are available at any home center. Be sure to download their .PDF manual first before you get a start on things. The Wood Whisperer Guild: Marc Spagnuolo, the Wood Whisperer, runs a great online woodworking guild that offers step-by-step instructions to some awesome projects. Whether you are a complete beginner or an uber-skilled woodworker, Marc’s instructions can have you building high quality projects before you know it! NewWoodworker.com: Tom Hintz is no longer a new woodworker, but, believe me, his site will help steer any new woodworker in the right direction. Before you buy a new tool or select a spot for your shop, be sure to pay this site a visit and soak in the knowledge. The Hand Tool School: If power tools aren’t your bag, why not give hand tools a go? Shannon Rogers of the Renaissance Woodworker runs the online Hand Tool School where you can learn how to unplug and get woodworking. There is a fee for the site, but you will be part of an online apprenticeship that will teach you the basics… and more advanced skills. Spunjin’s Blog: Get Woodworking Week 2014! MonkWerks: Clamps, Clamps, and more Clamps! Neal Becker, Beave’s Bench: What are you waiting for? Pete Harbin – Second Wind Workshop: Lancelot Link – I mean that’s a lot of links! Steve Ramsey – Woodworking for Mere Mortals: Get Woodworking! Popular Woodworking: My first woodworking project? Matt Vanderlist – Matt’s Basement Workshop: Jointer or Thickness Planer First? Allen Lindsey – Crazy Chipmunk Woodworking: The Baby(ies) made me do it! Ron Hock – The Sharpening Blog: Time to fish – or get woodworking! Marc Spagnuolo – The Wood Whisperer: What’s your excuse? Marilyn Guthrie – She Works Wood: Get woodworking … women! Short Bus Woodworking: Get Woodworking Week – Pocket Holes? Tumblewood: Get Woodworking Week is here. Get to it! The School of Wood: There’s a hole in the bucket! Getting started woodworking with hand tools. A Slice of Wood Workshop: What to Build? The Village Carpenter: Just do it! The Renaissance Woodworker: Get Woodworking… NOW! 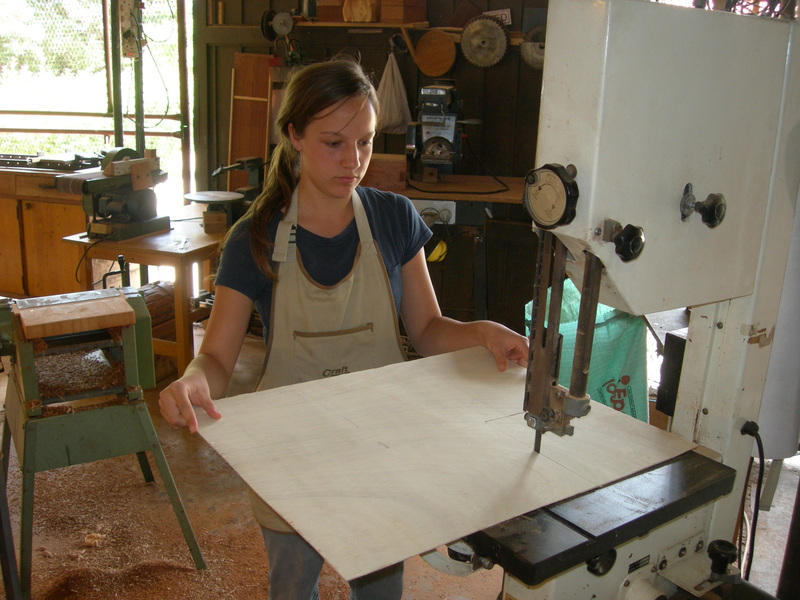 Woodcanuck’s Blog: So you want to be a woodworker? Bucks County Craftsmaster’s Blog: Football is over. So, now what? Might as well dance: Woodworking: where to begin? The Wood Lab: Don’t let shop ‘shortcomings’ stop you! Watkins Wood Works: To sharpen or not to sharpen? High Rock Woodworking: What happened to shop class? Great resources! I’m waiting for your lists of 2016. Thank Tom! Keep your woodworking tools well sharpened. Dull tools produce messy work and can be hard to use. Not only that, but it can injure you if you have to use excessive force to cut. A sharp tool gives you a cleaner and more efficient cut. You can really notice the difference.